Lawmakers are expected to vote today on a voter ID bill that was released less than 24 hours ago. 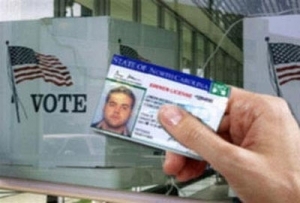 The Senate select committee on elections was the first Tuesday to see Senate Bill 824, a measure to implement a voter ID constitutional amendment before the 2019 May primaries. A House draft version of the bill was released last week, but there were some changes made to the new proposed bill. Similar to the draft House version, acceptable forms of ID in SB 824 that are valid and unexpired would include a state drivers license or DMV identification card, a U.S. passport, a tribal enrollment card issued by a federally or state recognized tribe and a drivers license or photo ID issued by another state if the voter’s registration was within 90 days of the election. Student IDs issued by the University of North Carolina or private school systems or the community colleges could be considered acceptable if schools agree to issue those IDs per per requirements from the legislature, including making sure they contain photos and giving ID cards to students only after confirming their identity (social security number, citizenship status and birth date). There are also security measures the schools have to follow with regard to the equipment that produces student IDs. The initial House draft voter ID bill did not include private and community college student IDs in its list of acceptable photo IDs. Another change was made to the age that people can use an expired ID. The following photo IDs can be used to voter per SB 824 regardless of expiration or issuance dates: a military ID issued by the U.S. government; a veteran’s identification card issued by the U.S. Department of Veterans Affairs; any of the allowed IDs, even if they’re expired, if the voter is at least 65 years old, as long as the ID was unexpired on their 65th birthday. 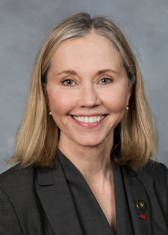 There were only five voting Senators present at the committee meeting Tuesday — they were all Republican members except for Sen. Terry Van Duyn (D-Buncombe). Van Duyn had a number of questions for Sen. Ralph Hise (R-Mitchell), who chaired the meeting, but legislative staff answered most of them. She took issue with the “aggressive” schedule put forth in SB824 and expressed concern about how the public would be notified before the next election in six months. She brought up remarks from the prior day’s legislative meeting that State Board of Elections and Ethics Enforcement Executive Director Kim Strach told them that with three years to educate the public, over 1,000 people were denied a ballot on Election Day. Hise became agitated and said they “very much disagreed” about that ruling. Van Duyn continued to ask several questions and eventually voted “no” on giving SB824 a favorable report. The rest of the four Republicans voted to pass it on to the Senate rules committee, which meets today at 2 p.m. in room 1128 at the Legislative Building (which now has an audio stream). The Republicans in the Tuesday meeting did not engage in any discussion or ask questions about the bill before voting to move it on. Van Duyn, after the meeting, acknowledged that the Senate bill was better than the House draft but said she still had a lot of concerns, including the timeline for implementation, the reasonable impediment provision and the use of expiration dates (which she thinks are unnecessary for proving identity). The Senate reconvenes on the floor today at 9:30 a.m., thought they will likely break unit 4 p.m. or later. The House reconvenes at 10:30 a.m.